Designed as a flexible and adaptable high-performance building for HITT, a leading national construction company, Co|Lab promotes engagement with clients and team members through hands-on experiences and direct observation. 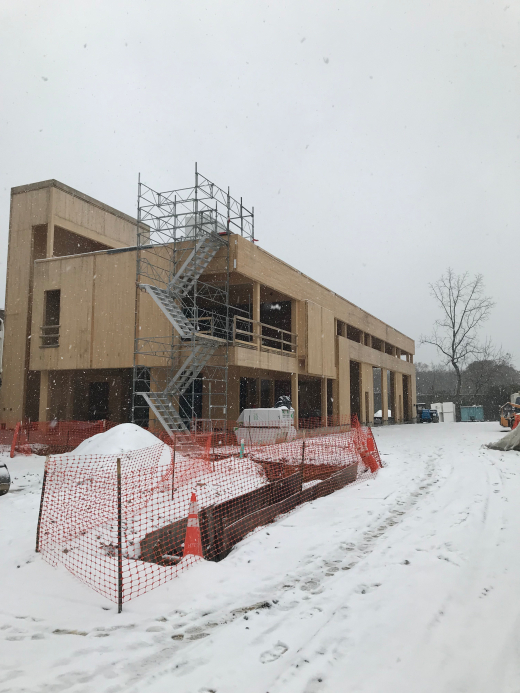 Integrated within a semi-industrial and commercial neighborhood close to HITT’s headquarters in Northern Virginia, Co|Lab is targeting Zero Energy Certification. A roof-mounted photovoltaic solar array canopy on the occupiable roof is designed to offset 100% of the building’s energy consumption. 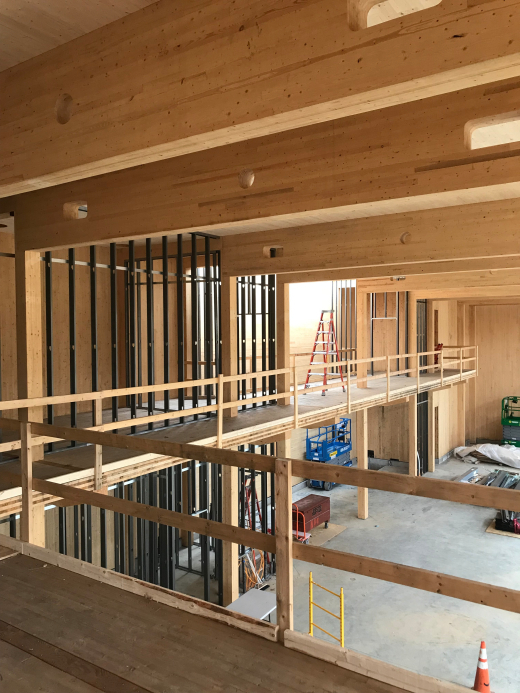 Co|Lab’s high-performance envelope and high-efficiency MEP systems are also coupled with a Mass Timber structure, which provides an interior tactile benefit, while also allowing rapid installation of the structural frame and envelope and decreasing the building’s carbon footprint.